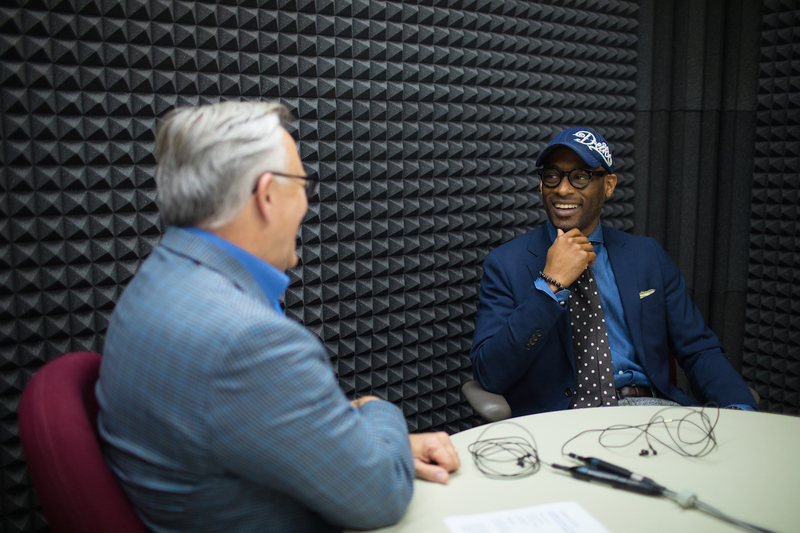 + In this episode of “Conversing,” theologian and writer J. Kameron Carter discusses the complex interplay between racial logic and theology. He examines beliefs about possessions, the language of “master” and “lord” in scripture, and the “alternative practices of the sacred” within black Christian communities. Carter is the associate professor of theology, English, and African American Studies at Duke Divinity School and the author of Race: A Theological Account. He writes and lectures widely on theology, race, and black studies. Hear him speak at the Pannell Center’s 2017 Martin Luther King Jr. Lectures. Published on: Jun 13, 2017.